After providing options education for many years, I wanted to share the 5 most important basics that anyone using trading options should know first. These important basics lay the foundation for further options education. Options trading has many more advantages than trading stock, but, as you probably know, it is a bit more complicated, as well. Options education begins with risk management. For this reason, let’s start here. For the individual trader, options can be a little intimidating. That’s why many investors trade options by purchasing Out-of-the-money options. These are often short-term options since they cost less than long-term options. It seems simple. Out-of-the-money calls are especially popular because they are cheap. They seem to follow the old Warrant Buffet that we all love: buy low, then sell high. But is this always the best beginner option strategy? Imagine you’re bullish on Facebook (FB) trading at $100. 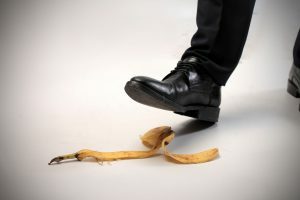 A trader with little options education would be tempted to do this: Buy calls 30 days from expiration with a strike price of $120 at a cost of $0.15, or $15 per contract. Why? Because you can buy a lot of them. Purchasing 100 shares of FB at $100 would cost $10,000. But, for the same $10,000, you could buy 666 contracts of $120 calls and control 66,660 shares. Imagine FB hits $121 within the next 30 days, and the $120 calls are trading at $1.05 or $105 per option contract just prior to expiration. You’d make $59,940 in a month! At first glance, this kind of leverage is awesome! But don’t let this glitter FOOL YOU. Remember, the most important basic of options education is that not losing money is just as important as making money! One problem with short-term, Out-of-the-money options is that you not only have to be right about the direction the stock moves, but you also have to be right about the timing. • This issue ratchets up the degree of difficulty. • To make a profit, the stock doesn’t just need to go past the strike price but also must do this within a defined period of time. In the case of the $120 calls on FB, you’d need the stock to reach $120 within 30 days to make a profit. This dual objective of having to be right on direction plus on timing really lessens the probability of an option trade being a winning trade when buying options. 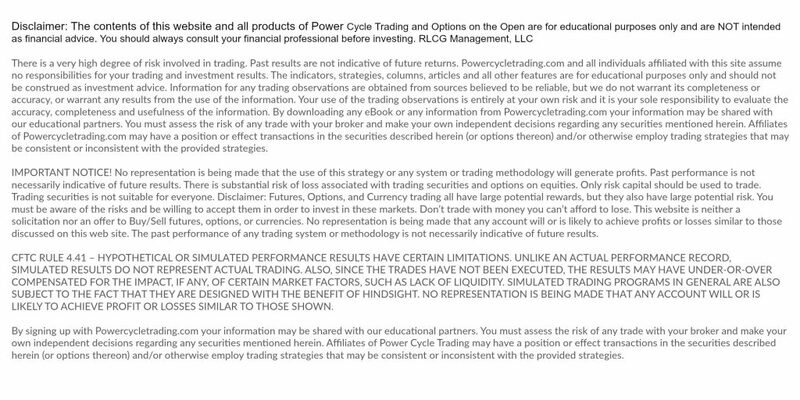 And everything that I teach in my options education programs is based on managing risk and increasing the probability of winning trades. In the Facebook option trade, you are wanting the stock to move more than 20% in less than a month. This would be a Standard Deviation move of about two! How many stocks are likely to do that? In all probability the stock would not reach the strike price, and the options would expire completely worthless. Based on probability, using Standard Deviation, there is only about a 5% chance of this stock reaching $120 to $121 by expiration. To make money on this Out-of-the-money call, you either need to outwit the market or get plain lucky. Being close means no cigar. • Imagine that FB rose to $110 during the 30 days of your option’s lifetime. • You were right about the direction the stock moved. • But, since you were wrong about how far it would go within a specific time frame, you’d lose your entire investment. And this is outright painful! Based on this trade example, a better goal for every trader would be to select trades with a method that provides the most consistent, positive returns, not a one-time big winner. Consistency is derived from making HIGH PROBABILITY trades based on reliable data and facts. Here’s what’s great about this: Where there’s a big disadvantage, such as the one you saw in the option buying scenario, you can usually just look at the flip side of the coin and see an equal and opposite advantage. In this case, being a SELLER of options gives you a huge advantage over being a buyer of options. Every trader with more advanced options education knows this. They take advantage of those buying options, and so can you. As an option seller, all of the things in this example are the same, but in your favor, instead of against you. This is why a lot of people take advantage of selling options for profit generation and for hedging investment portfolios. By selling options, you are, in essence, “selling time.” What a powerful dynamic! This is a strategy that’s yours for the taking. Think of options like this: An option is a coupon that must be redeemed by an expiration date or else it is no longer valid. Would you want to be buying that coupon, or selling it? The most important option factor for income generation from selling options is understanding the concept of TIME. It’s that simple, as you just saw. Time Value is used for option trading strategies that take advantage of the accelerated Time Decay of an option moving into its Expiration date. Option Income Strategies are very tied to Time Value and the impact it has on the price of an option. Understanding and using time value are at the core of all good options education. What exactly is Time Value? √ Time value(TV) (extrinsic) of an option is the premium a rational investor would pay over its current exercise value (intrinsic value), based on its potential to increase in value before expiring. √ This probability is always greater than zero, thus an option is always worth more than its current exercise value. If the underlying security price was to go sideways, having no directional trend, would you have wanted to have BOUGHT an option 120 to 90 days out, or would you have rather SOLD an option? 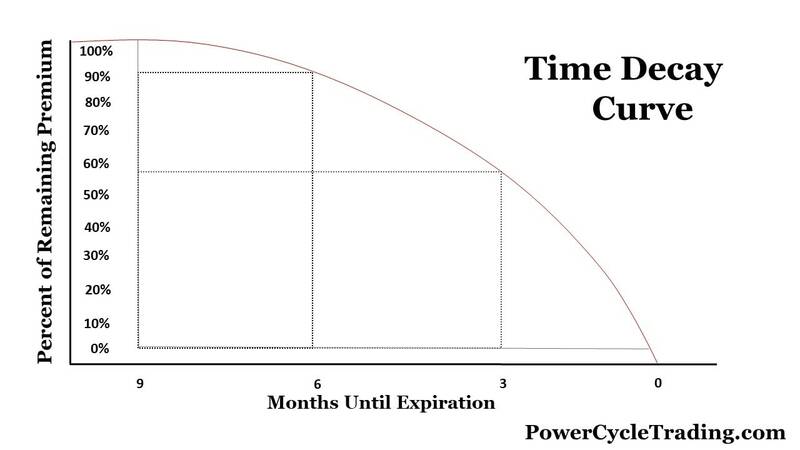 This is the common natural time value progression for all options. And it’s seriously like falling off a cliff . . . blindfolded! To expand on this important concept further, the Time value (also called extrinsic value) of an option is the premium a rational investor would pay over its current exercise value (also called intrinsic value), based on its potential to increase in value before expiring. Note that this probability is always greater than zero, thus an option is always worth more than its current exercise value. An option’s Theta tells you how much an option’s price will diminish over time, which is the rate of time decay of a stock’s option. This time decay occurs because the extrinsic value, or the Time Value, of options, diminishes as expiration draws nearer. By the option expiration date, options have no extrinsic value and all Out of the Money (OTM) Option expires worthlessly. 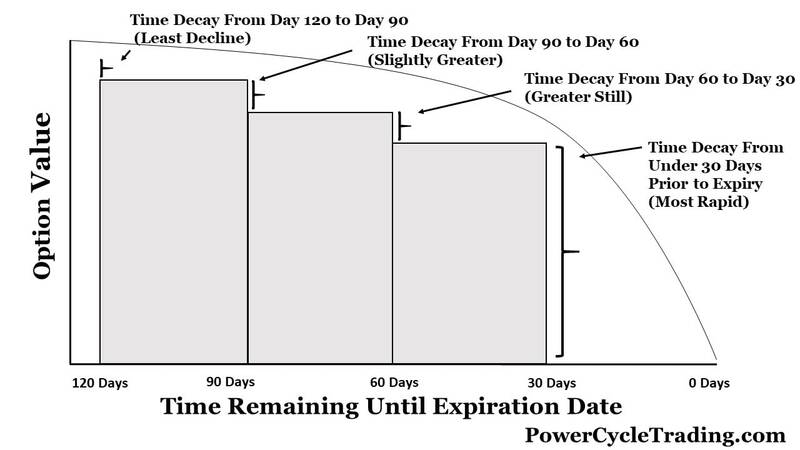 The rate of this daily decay all the way up to its expiration is estimated by the Options Theta Value. You can watch one of my videos on option time decay on this page of my website. As you can see, understanding Theta is extremely important for the application of option strategies that seek to profit from time decay. You can think of Theta as a measurement toward winning trades. Let’s expand your knowledge of this important concept further. Option Theta values are either positive or negative. All long stock option positions have negative Theta values, which indicates that they lose value as expiration draws nearer. All short stock option positions have positive Theta values, which indicates that the position is gaining value as expiration draws nearer. Theta value is highest for At-the-Money (ATM) Options, and progressively lower for In-The-Money (ITM) and Out-of-The Money (OTM) options. ITM and OTM options have much lower extrinsic values, giving little left to the decay. An option contract with Option Theta of -0.10 will lose $10 per contract every day even on weekends and market holidays. This means that the buyer/holder of an option contract over a 3-day long weekend with a price of $1.40 or $140 per option contract and an option theta of -.10 will find the price of that option at $110 instead of $140 after the 3-day weekend! Ouch! Option Theta does not remain stagnant. It increases as expiration draws nearer and decreases as the options go more and more In-The-Money or Out-of-The Money. 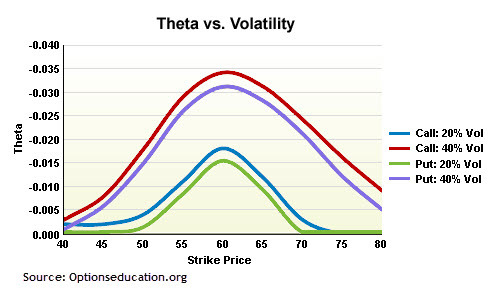 In fact, the effects of Option Theta decay is most pronounced during the final 30 days to expiration where Theta soars. Take a look at the following chart to see just how predictable and powerful this option paradigm is! The third basic options education principle is understanding how option pricing works. Time Value (x) Implied Volatility (x) Intrinsic/Extrinsic Value . . . Note: Once you know these variables, then you are ready to price an option & know what its option premium should be. The fourth basic of options education is knowing how to use these three tools that every market maker knows. Remember, knowledge is power. 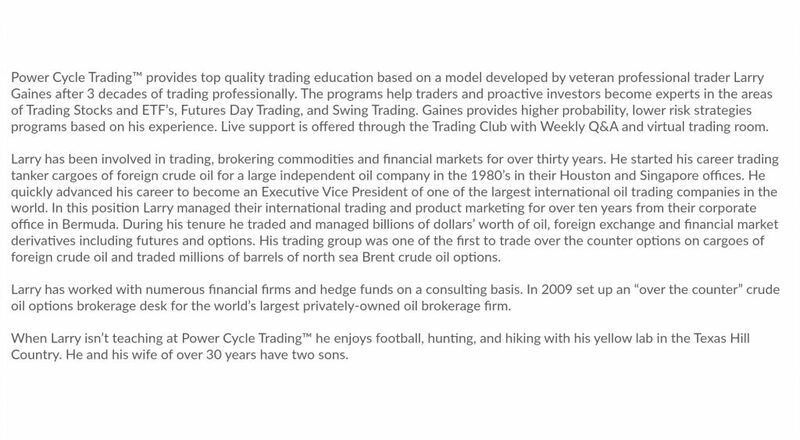 Market makers use this knowledge to capture profits from individual traders with limited options for education. Broad markets tend to have 2 to 3-week cycles. They also tend to trade in sideways channels 70% to 80% of the time. Based on this sideways price movement, Out-of-the-money (OTM) option buyers will lose approximately 70% of the time. Market makers know these statistics and, therefore, tend to trade from the sell side. This is the professional money, so you need to think like a market maker. It’s all based on the Math! • Market makers use mathematical market probability statistics for pricing the movement of an option to its expiration. • Knowing the probability of an underlying security finishing within a certain range at expiration is key when determining what options to buy or sell, and which option strategies to implement. • These statistics forecast how likely it is that an option will fall within a certain price, up or down, by its expiration. • This statistical forecast is referred to as the Implied Move of the Stock. • The Implied Move is an estimate of a +/- standard deviation move of the underlying security by its expiration. Who in the world would not consider this data when making decisions about their investment capital? Based on these probability statistics, selling options and option spreads, when used correctly, provides the highest probability trade set-ups for generating consistent profits. This knowledge can also be used to hedge risk. And it’s all based on the math of probabilities. Below is a chart of the Implied Move based on the Standard deviation of Google. it shows the Implied Move of +/- 4 10 days from Option Expiration. Trading is a business of probabilities. To be successful a trader needs to focus on controlling risk. One important step is to know the winning probabilities of any trade taken. One simple & free tool for measuring probabilities is the option delta, as explained. The option delta will tell you the value of an option based on the underlying move. It is also used to measure the probability of a price move on the underlying move itself. Specifically, Delta measures the price movement of the option contract in relation to a $1 change in the underlying security. An option contract doesn’t move dollar for dollar with the underlying security. By using the Delta, you can see the price movement relationship between the option and the security. 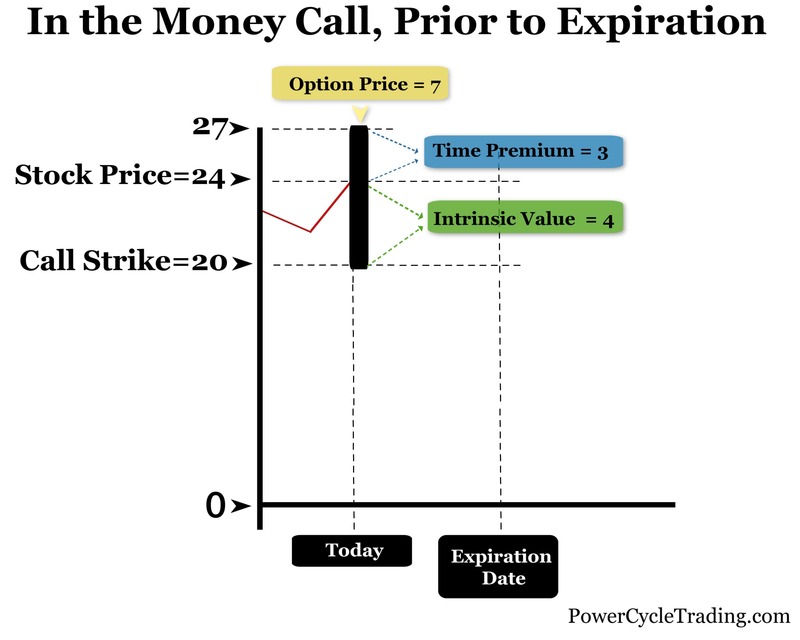 An Option Delta of 68/70 equates that the strike has a 68%/70% probability of being ITM at expiration. An Option Delta of approximately +/- 16 is equivalent to the outside point of a 1 STD Implied move at expiration. This means that the 16 Delta strike has only a 16% theoretical probability of being ITM at expiration. This equates to a huge advantage! Using this probability analysis provides traders with a very useful tool for determining price targets to trade against or for setting hedges. So, based on the math of probability, you can see that approximately 68.2% of options bought expire worthless. Based on this number, it’s a good idea for all traders or investors to at least consider selling options as well as simply buying them. As you can see, this powerful information can make a dramatic and positive difference in your trading performance when used correctly. The fifth options education basic is this: Select trades based on what provides the most consistent positive return and not the greatest return. And one of the best ways to achieve this is by knowing the various option strategies and selecting the one that is best for your trading style and trading plan. It almost always works even if you’re wrong! Each different type of credit spread works best for different market direction. For example, the Bear Call Credit Spread is best if you think the market is probably going to go down. Bear Call Credit Spread Strategy: Selling one call with a lower strike while simultaneously buying one call with a higher strike in the same month. A Bull Put Credit Spread is best when you think the market will probably go up. Bull Put credit Spread Strategy: Sell one put while simultaneously buying one put with a lower strike in the same month. A Long Iron Condor is known for being a non-directional, low-risk trading strategy. This means this options strategy works best in sideways markets. Selling options and option spreads can have a major positive impact on your trading bottom line while also reducing your trading risk. These low-risk trading strategies offer income and profit while also providing the perfect hedging strategy. The single trader can easily use these insights and tools to execute option strategies that can turn that small trading account into a large trading account, with much lower risk than the traditional buy only option strategy. You can see why having the right options education is so important.